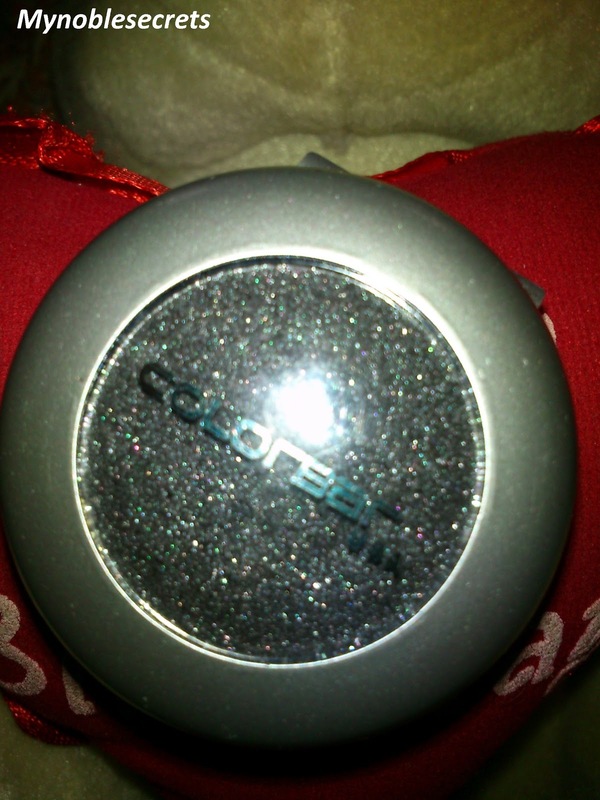 Colorbar Eye Shadow is a pigmented powder that gives the eyes a shine and pearl-like effect. Ultra fine in texture, it is easy to blend while its moisturising agent keeps your eyelids soft and smooth. 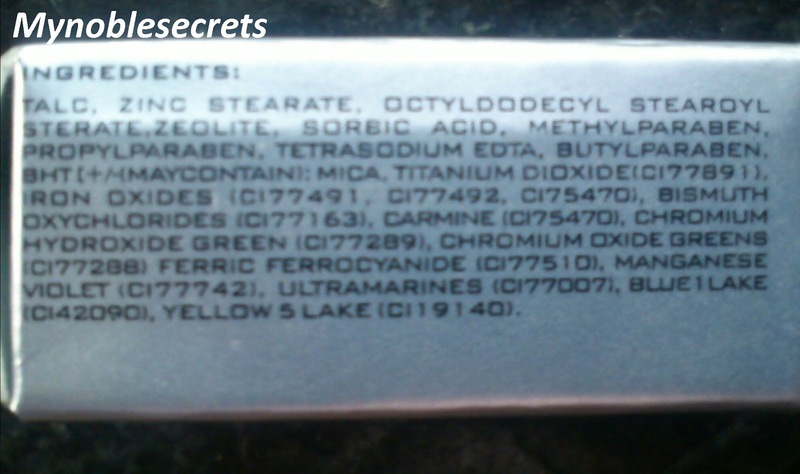 This product is long lasting and fade resistant. Colorbar Eyeshadow Black Tie comes in a silver round sturdy package. 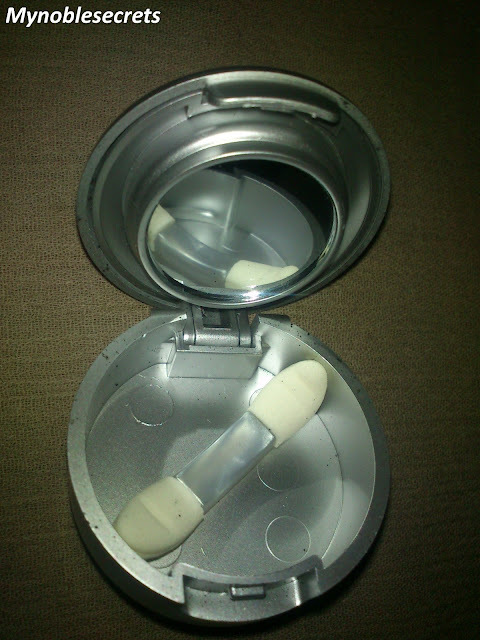 It is looks like a small cute container. It is very small and handy to carry with us. Te package include a small mirror and a small eyeshadow applicator in it. It is a double layered box, the top layer contains the eyeshadow and the bottom one conatins the mirror and the applicator. I am totally in love with this package. 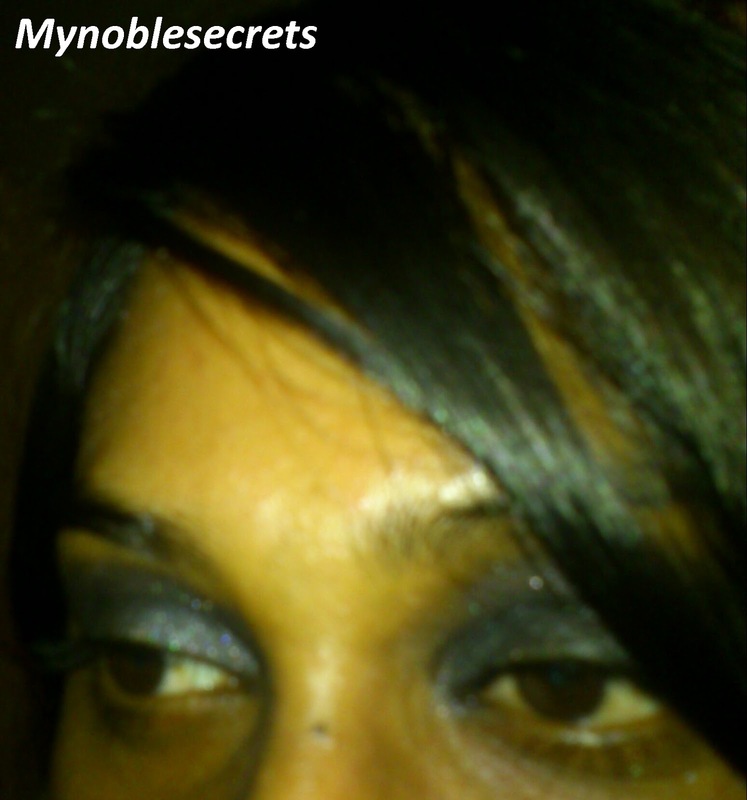 I Love Black Eyeshadow and it can be used with other shades to make look good and make your eye makeup gorgeous. This Black Tie Shade will look good on all skin Colour I think. The Texture of the eye shadow is so silky and smooth that Blends well on my eye lids. This shade is very perfect for smoky eye makeup. This eyeshadow neither creasing nor fall out. The shimmer also just set on my Eye lids didn't spread around the eyes, this is the big benefit that you no need to mess up with your eye makeup every time by cleaning. This eyeshadow looks great even without Primer also. The black Colour looks so intense and it stays up to 5 hours with primer and there is no creasing in my oily lids.. It is a gorgeous black eyeshadow with obvious silver shimmer in it, It has smooth and silky texture that blends easily on the eyelids. This Colorbar Eyeshadow Black Tie has great pigmentation that you will need only one swipe to get the colour on your lids. 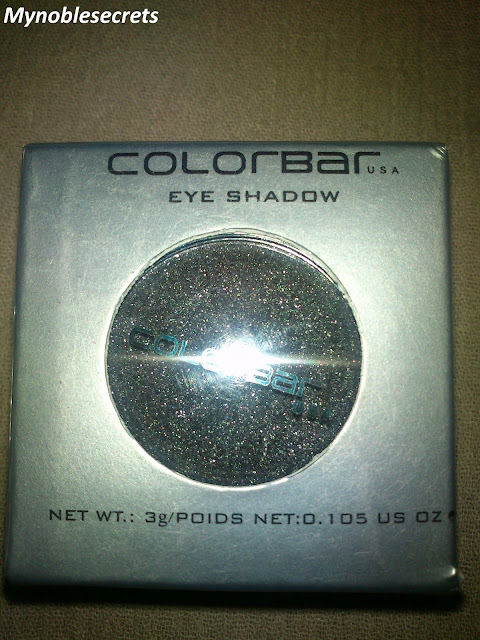 Overall for the price it is the best eyeshadow and I am going to buy more shades from this colorbar range. I love their blushes and eye kohl also. 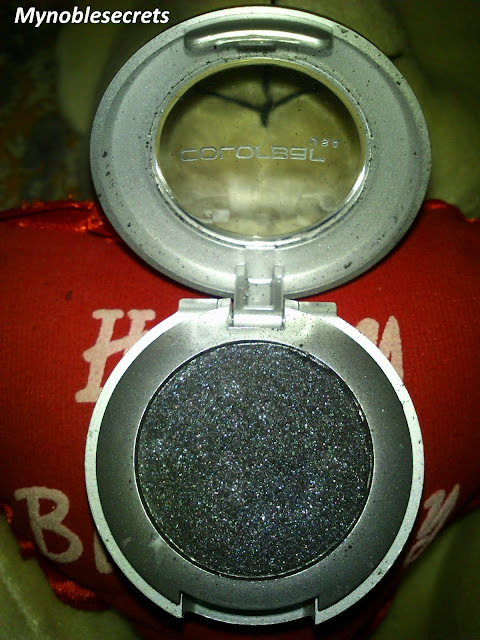 It gives so intense black colour and highly pigmented one. This range Eyeshadows will do good when it comes for smoky eye. No fall out and the Shimmer looks decently on the eyes. It is staying on the eye lids up to 5 hours. The packing becomes messy and the eye shadow spills slightly outer cover of the package. Contains Paraben and Titanium Tioxide. I absolutely love colorbar eyeshadows. they are have great pigmentation! !